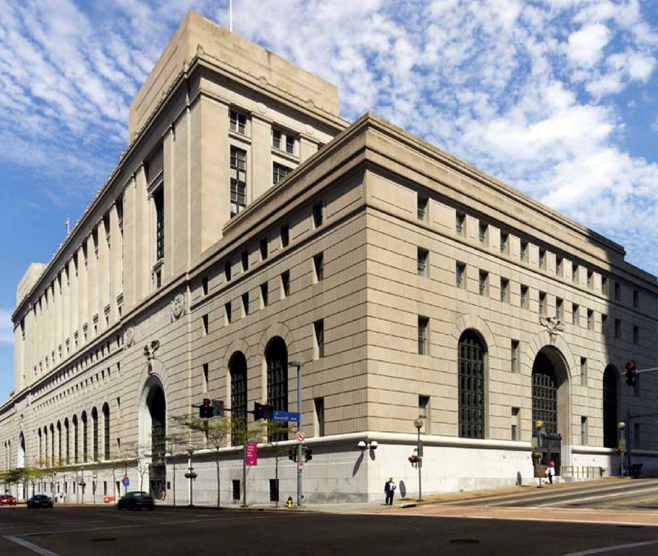 USPS & FEDERAL COURTHOUSE RENOVATIONS OF THE NORTH PLAZA — Burchick Construction Company Inc. The elevated concrete and steel structure above the access to the parking garage for the historic courthouse had been shored up for years when Burchick Construction began this extensive reconstruction project. The entire structural slab, as well as the plaza area above, were demolished and reconstructed. The concrete walls were badly deteriorated, requiring some areas to be replaced and some to be resurfaced. New force-protection vehicle barricades and bollards were installed both on the ramp to the garage and on the plaza level above. Burchick Construction also performed work along Grant and Seventh Streets and installed force-protection bollards. 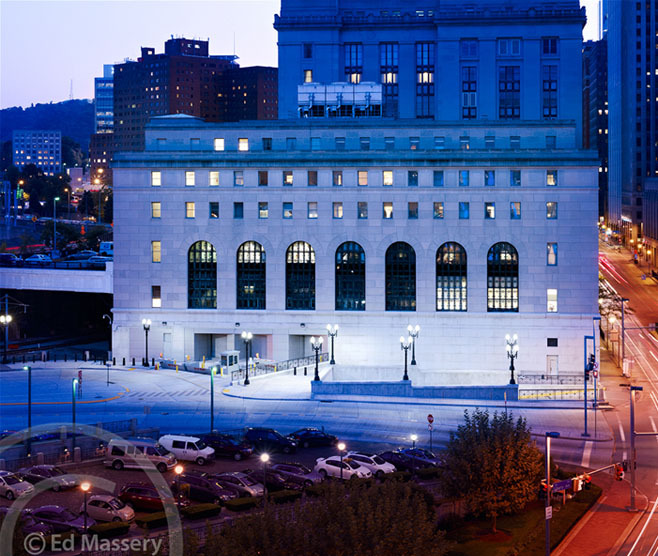 This work involved large concrete and steel foundations and replacement of City of Pittsburgh standard rustic terrazzo sidewalks. All this work was self-performed by Burchick forces. This project occurred outside the north and south public lobby entrances on Grant Street, a separate contract performed by Burchick, which required close coordination to permit access to the building at all times.